There are 124 days left in the calendar year. While some feel as though the new year (and metaphorical fresh start) can't arrive soon enough, folks like Top Dawg know not to count out the fourth quarter just yet. 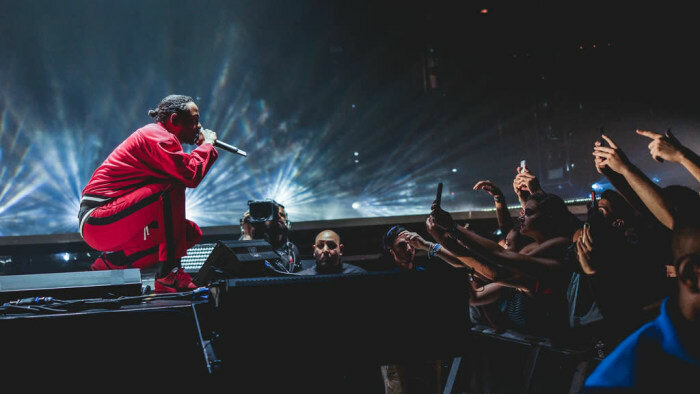 Now that we're approaching the nine-month marker, it's safe to say that 2018 has been a banner year for hip-hop, with both the veterans in the game and the genre's bright-eyed newcomers alike making sure they've got a player on the board. The TDE camp has been no exception to this, solidifying their rightful place as a collective of tastemakers pushing the culture forward. From the critically acclaimed Black Panther: The Album soundtrack to Jay Rock's Redemption and SiR's November, Top Dawg Entertainment has continued to place quality over quantity. But, from the looks of the CEO's Twitter, TDE isn't ready to shift the focus onto 2019 just yet. In response to a fan asking if what else the West Coast label has in store for the rest of this year, Top Dawg shared some promising intel. According to his tweet, the label has two more albums ready to go and he's trying for two more. Of course, such information did not arrive without excitement and speculation, with hundreds of fans flooding his mention to try to get more details and wage their respective bets. A safer call to manifest among the talent-packed roster is ScHoolboy Q, whose upcoming fifth studio album has been highly anticipated for what feels like ages now, especially considering how he teased back in September 2017 that the project was "90% done." Perhaps the time has finally come for Groovy Q to make his welcome return. As far as other possibilities, fans are definitely keeping a close eye on Isaiah Rashad and Ab-Soul, with Top Dawg hinting that some new music has come in as recently as last night. While Top Dawg left the rest of the details up in the air for now, in the meantime, we'll have to rest assured he's a man of his word and trust that some fire releases are heading our way.